Twitter (TWTR) was notably absent from a list of big tech companies that cut some ties with Jones and his InfoWars site this week. 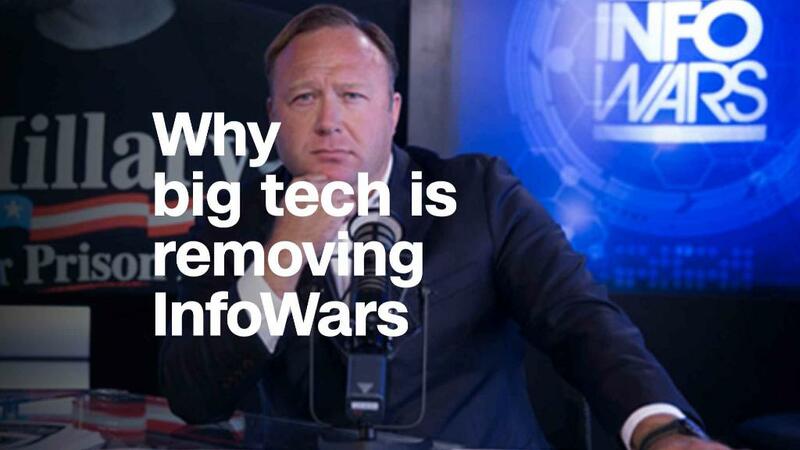 Apple (AAPL), Facebook (FB) and Google's (GOOGL) YouTube removed content associated with Jones and InfoWars for violating their policies. Truth is we've been terrible at explaining our decisions in the past. We're fixing that. We're going to hold Jones to the same standard we hold to every account, not taking one-off actions to make us feel good in the short term, and adding fuel to new conspiracy theories. Accounts like Jones' can often sensationalize issues and spread unsubstantiated rumors, so it's critical journalists document, validate, and refute such information directly so people can form their own opinions. This is what serves the public conversation best.